Home » Cheap Europe Travel • Destination reports • International living/working • Travel • Work/Life/Travel Balance » How Much Does It Cost to Live in Hungary? Hungary is not super cheap in every way, but the destination is a good value for people who want to live a good life for less in central Europe. Anyone moving to Budapest from a similarly sized city in Europe, North America, or Australia can easily cut their expenses in half thanks to a low cost of living in Hungary. And prices go down a lot when you get out of the capital and live in a smaller city or town. Estimates of how many expatriates live in Hungary range from 30,000 to 60,000 and there are enough in Budapest to support a business newspaper in English. So you won’t be all alone if you choose to move here. There are far fewer expats outside of the capital, but that possible disadvantage is offset by a lower cost of living. Prices for rent, groceries, restaurant meals, and drinks rise 10-35% when in the big city. After teaching English in Budapest for eight years, he is retired, living a much better life than he could elsewhere on what he has to spend. “The cost of monthly house payments or rental, plus car costs alone, would be more than my monthly income, which is around $2,100 net,” he explains. “Here in Budapest, my monthly flat rental, plus utilities, averages around €400, right in the middle of town.” He says public transportation is excellent, so he doesn’t need a car. “I eat out several times a week and I still have enough money to travel wherever and whenever I want. : When I talked to him a few years ago, he had traveled to 53 countries and had 5 more trips scheduled. Australians Karen and Neil D. came to Budapest because her husband got a job offer in his industry and they thought it would be a great adventure. They had already lived in Poland and the Czech Republic though, so they and the four kids didn’t have to make a huge adjustment going to Hungary. “Hungary has been the cheapest of the three,” Karen says. They’ve watched the city get easier and easier as the years have gone by, partly through them adjusting but also because the level of English fluency locally has gotten steadily better. Hungary joined the EU in 2004, but the country still uses the forint, which is a volatile currency. Prices quoted here are based on 312 to the euro, but the exchange rate bounces around a bit compared to the euro, a lot compared to the U.S. dollar. So check the current rate before cursing my name when you read this because prices have changed. The countryside of Hungary is very cheap, but few expats live in the rural areas unless they’re in the wine industry. Most choose to live in Budapest, around Lake Balaton, or in one of the smaller cities like Eger or Pecs. Hungary got hit hard in the European economic crisis like many other nations on the continent, so the cost of living plummeted then, but it has recovered much faster. The official unemployment rate was 8% in mid-2014 and as I write this has dipped down below 4%, which downright glorious compared to Italy, Spain, Greece, or Portugal. Even the youth unemployment rate is around 10%, compared to more than 30% in Italy. When it comes to capitals in Europe, Budapest is one of the cheapest cities to live in. Most residents of Hungary quote their rent costs in hundreds, not thousands, and you won’t find many single people paying more than €600 a month, even in the capital. When you get into smaller towns, you can get a large house for that. When I was last in Budapest, I asked several true locals I talked to what they were paying per month for an apartment and the answers came in between €150 and €300. In the southern wine region I visited on my first trip a few years earlier, you can still find houses with a nice garden going for the same. The site Numbeo.com says the overall cost of living in Budapest ranks 379th out of 550 cities in the world. So compared to New York or London, it’s a screaming bargain for sure. Jennifer Walker, a long-time Budapest resident who writes for my Perceptive Travel Blog, laid out her housing costs for me. “I pay around 125,000 HUF (400 euros) a month for a 2-bedroom apartment. A friend of mine in a studio in the center pays around 90,000 HUF (€290) before utilities. Common costs in an apartment will usually run €32 – €96, which can sometimes include water, repairs, cleaning of the apartment block etc. Then heating can be €30-80, electricity around €16. I think 60,000 HUF in bills and common costs is quite standard. You will pay a premium for a modern apartment with lots of amenities though. New transplant Cory Varga and his partner of the You Could Travel blog have been spending more than they expected. “We moved here a couple of months ago and we are still looking for a long-term flat. We find the market to be incredibly competitive. We are peculiar and have a lot of requirements, but we also find that good flats go from one day to another. Competition is fierce, especially during term time when university students are also looking to rent houses. The good news is that you don’t have to pay for a real estate agent, the owner does. If you want short term, best to agree on an Airbnb or a short-term letting agent, because most owners only rent for a minimum of 12 months. We pay 800 euros for our 2-bedroom flat in District 6, right behind the Opera House. (2 minutes from the UNESCO Andrassy Avenue.) We searched in District 5, 7, 9 (much cheaper), and 6 (exclusively around Andrassy Avenue, but closer to the Inner City). The cheapest modern-looking apartment we found was 690 euros a month, for a one-bedroom apartment in District 6. Here are a few sites Katie recommends when looking for rentals and advises to use the Google Chrome translate function to decipher Hungarian. Keep in mind you may need to pony up a two-month damage deposit, so if you’re moving here broke you should probably look for a roommate or shared space on a Facebook group (first link). Prices have definitely gone up since then as the inventory cleared out, but are still competitive in comparison to many other parts of Western Europe, roughly half the cost of Vienna. The purchase market is not nearly as hot as the rental market, but is not as good a value as the rents. Now you can expect to pay between 100 and 296 euros per square meter, so a 100 square meter apartment would run €100K on the outskirts to close to €300K in a prime area. Like I said though, this is the big capital city. 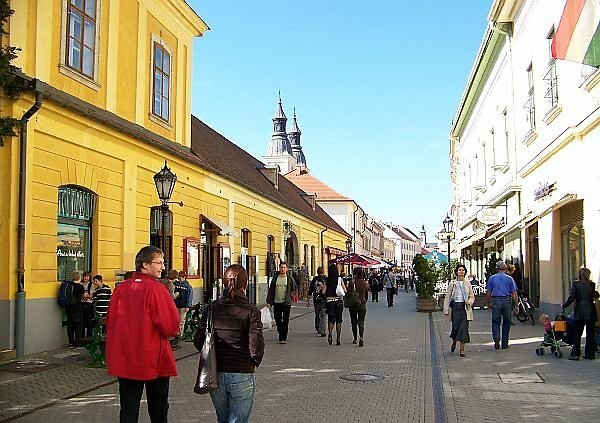 If you head an hour and a half away to Eger, the average price of a one-bedroom apartment in the center drops to 211. Three bedrooms is likely to cost you around €350. So the living is cheap in Hungary if you’re willing to make a different city your base. Numbeo lists the average salary outside the capital as being between 300 and 500 euros. So if you’re moving here with a couple grand a month going into your checking account, you will find Hungary to be one of the cheapest places to live in Europe. You can normally have a very fine cloth-napkin dinner with a glass of wine for €12. If you eat at more humble places, a soup will be a euro or two and main dishes range from €2.50 to €7. When you shop in the market, prices are at the low end for Europe. You can get rolls for 10-25 cents each or a huge baguette for a dollar or less. Get 100 grams (around 1/5 of a pound) of good cheese for less than a euro, 100 grams of good local sausage for €1.60, and a jar of pickled veggies for another euro or so. Fruit and vegetables in season are typically well under one euro for a kilo, sometimes half a euro. For a buck or less, you can generally buy 100 grams of any of these things in the market: raisins, peanuts, sunflower seeds, banana chips, or dried apricots. Or you can get a kilo of seasonal fruit or peppers, cabbage, potatoes, radishes, or carrots. I saw a big bunch of white asparagus for about a dollar when I was there. How much do you pay for that in your local Whole Foods? “For groceries it depends, but I probably spend around €20-40 a week for just me, but I tend to order prepared lunches for work, so that doesn’t eat so much into my shopping bills,” says Jennifer. Cory has found that a special diet makes Budapst more expensive. “We are both plant-based and we invest a lot in organic whole food products only. Hence, our food bills add up to roughly €500-550 euros a month. Hungarian wine should be known around the world, but the Soviet occupation days seriously hurt its reputation and the recovery will be a long one. So for now it’s one of the best quality-to-price values in the world. In many countries, expats complain about the difficulty of getting decent wine for a decent price, so if that’s a big priority, put Hungary on your list. (Along with Argentina and tropical duty-free Panama). You can find a decent table wine bottle in a store for €2, something quite good for €3.50 to €7. If you spend over €10 you might end up with something from a “winemaker of the year” who has adorned Hungarian magazine covers. This once being part of the Austro-Hungarian Empire, you can get a killer coffee and pastry here just as you can in Vienna—but for literally 1/4 the price. After you do a double-take at your low bill in a wine bar, finish with a coffee and dessert for another nice surprise. Getting a cleaning and check-up at the dentist is around €25, getting a set of x-rays about that much again. The one time Gary had to have serious medical work done, the total bill was about 1/10 the price of what it would have been in the USA. Legal residents have access to free or subsidized public health care, but many expats pay out of pocket for faster access or English-speaking doctors at private facilities. See more info here. Getting around Hungary is relatively cheap by bus or train when you want to get out of town. Figure on 9 to 12 euros for a domestic trip of two hours, or €25 to go as far as you can possibly go within Hungary. Seniors and young children travel free. The longest ride on the suburban railway out of Budapest (30 kms) is a around €2.20. Rental cars are quite expensive though, so save that for the road trips that are worth it. Budapest has a metro and while it’s no real bargain on a ride-by-ride basis (around €1.12), a monthly pass that also works for the trams and buses is a good value. Geoff and Katie pay around 28 euros a month each for those. If you’re of retirement age, you might squeak by for free. Apart from the ride from the airport, taxis in Hungary are a bargain. In general you can get around the center of Budapest in a cab for €2.50 to €7. It’s around €1.50 to start and about €1 for each kilometer, so it’s hard to spend €10 anywhere unless it’s a long haul. Like much of Europe, this country is set up well for those on a bicycle and some expatriates use a bike as their main means of transport. In Budapest there are lots of dedicated bike lanes and in the countryside, there’s not nearly such an abundance of cars as you see in the capital. Internet is $15 to $30 depending on speed and if you want a great connection, you can usually get it in Hungary. The lowest average speed in a Hungarian city is 15 mbps down, 5 up, while in Budapest the average is 30 mbps down, 15 on uploads. Mobile speeds are fast 4G. Katie and Geoff use pre-paid SIM cards and pay about 6 euros per month for 1.5 GB—enough for the basics when out and about. Their home internet is 19 euros for high speed. Geoff pays the equivalent of 60 euros per month for 40 hours of access at co-working space. They estimate their total costs for two at $2,300 per month, which right now is around €1,850. Hungary is part of the Schengen Agreement covering much of the European Union, which means you can’t just stick around here on a tourist visa. You get three months upon entering the zone, but after that you have to leave the whole Schengen area for three months before returning. No problem if you’re only coming for the summer. Terrible if you want to settle down for longer. A work visa is good for a year and renewable. Expect to endure a lot of bureaucracy and if you don’t have a college diploma, it’s going to be even tougher. You will have to apply in your own country and will then have 30 days after entering Hungary to get the local paperwork sorted out. “We are both Canadian,” says Katie, “so we had to apply for a visa. As we work for ourselves and run our own business, we applied for an ‘other’ visa, which allows us to live in Hungary, but not to work beyond running our own business. We arrived in Hungary as visitors and then hired a lawyer to complete the visa application process for us. To get the visa, we had to provide financial statements proving we earn enough money to support ourselves (there is no set amount the government states is sufficient, although our lawyer suggested $2500 per month would be fine). We also had to write a letter of motivation explaining why we wanted to live in Hungary, demonstrate we had health insurance, and provide financial statements for our business. We had a clear plan and business reason for being in Hungary, and were told by our lawyer that a general reason, such as ‘Budapest is beautiful’ or ‘I want to learn more about Hungarian culture’ would not suffice. You can also look at getting a student visa to study Hungarian. We’ve also heard of a visa that allows you residence if you invest €10,000 in a Hungarian business, although we don’t know anyone who has done this. “Americans can only get residency for two years,” says Gary, “then they have to renew.” He says you can apply for permanent residency after being in the country for three years. This costs money for a lawyer and requires a lot of additional paperwork. Most of the items need to be translated into Hungarian as well, plus you have to show proof of health insurance or buy into the Hungarian health care plan. The political winds are blowing strongly to the right under the current authoritarian Hungarian ruler, with overt racism, anti-Semitism, and discrimination against minorities all rearing their ugly heads on a regular basis. Press muzzling, attempts to shut down an esteemed university, and defiance of EU rulings on immigration could come to a head at some point. Budapest is also starting to show a few signs of overtourism in the summer when dozens of river cruise ships dock, so be prepared for big crowds in popular areas there. Hungarian is an especially tough language to crack, but you’ll often need at least some basics when you get outside the capital. 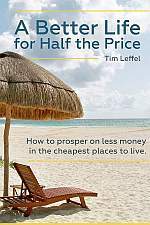 Part of this article was excerpted from the popular book A Better Life for Half the Price, about cutting your expenses in half by moving abroad. 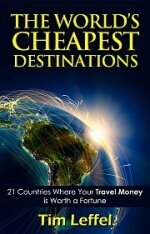 Sign up here for updates on cheap living abroad. For Americans Albania gives a one year tourist card, then you have to leave for 90 days before returning for another year. Or you can apply for residency, which Albania allows Americans to jump ahead to get a 5 year residency. Georgia gives many nationalities a one year tourist card for free that’s renewable by crossing the border and immediately returning. Both have excellent discount airline connections to Budapest but cost a lot less than Hungary with a lot less hassle. So one can jump through a lot of bureaucratic hoops for the privilege of paying almost as much as the States or one can concentrate on enjoying life for much less including visiting numerous places in Europe with the money saved. I’m in Kutaisi, Georgia now, beautiful center. Fantastic food and scenery. Kutaisi has direct flights on discounter Wizz Air to Paris, Rome, London, Berlin, Budapest, and others. The capital, Tbilisi, has American movies in English, a subway system, a huge assortment of restaurants, and a large expat community who moved there by, well, just moving there. And you can live there decently on an American Social Security check. Hungary is getting more and more popular recently. I came across to your blog while i was searching about the life in Hungary. Thank you for the valuable information. I think you have covered almost everything that I need for my trip in January next year. Although looking at the comments, I think now I am bit anxious whether I should go alone or take one of my friends along. I had originally planned it as a solo, impromptu trip but then It got delayed by over a year now. As an Indian, I can say this has surpassed my budget already. Let’s see. Very nice and thorough article. You should also keep in mind that surprisingly there is a place that is more expensive than Budapest regarding food and accomodation: if you travel to the Lake Balaton! It is very touristic so the prices went up high too. Also, recently a friend of mine from Braga was complaining to me that Budapest is an extremely big city compared to some other European cities and you’ll have so many things to do here, so many events to go to that it is very easy to be spending a lot. However, Budapest is so beautiful you won’t regret coming to here any time! Hello, I like to visit Hungary for the first time, can anybody help me to find a reasonable place to stay for two weeks . I live very simple and i have a budget for two weeks. I appreciate it if somebody help me in this, please send an email and talk more about this. What’s the native Richards like there ? Easy to pull ? Thank you for the nice introduction to Hungary ( Budapest). I think we all can find prose and cons no meter where we go. For financial reasoning Hungary is the most favorable place for EU base. I found Budapest and Hungary one of the most expensive destinations as once I was quickly determined a non local,prices shot up dramatically even on board trains demanding an additional $20 or so.Stop the rose colored glasses talk. I’ve been there three times and one of my Perceptive Travel bloggers lives there. Have never run into this and none of the expats I interviewed over the years has mentioned having a problem like this. Most of the prices in Hungary are labeled anyway, even at the markets. Lived Budapest 2 years and best time of my life. Middle of Europe at budget prices cheap to eat out and live!